change to “Project owner” you can do so by following steps. 1. Click on Edit button of the role you want to edit. 2. On click edit pop up will open where you can change the role name. 3. 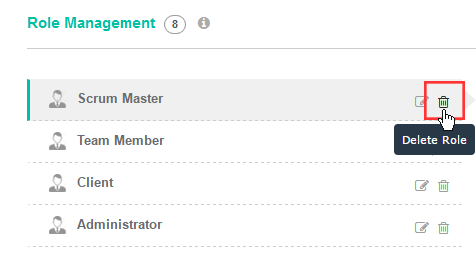 Once you have change the name of the role click on Save button. 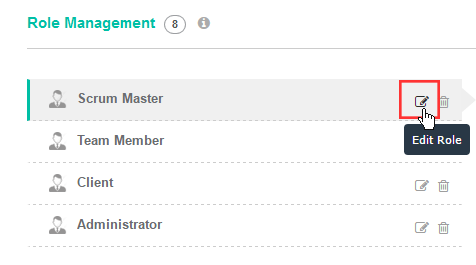 You will not able to delete a role that has been assigned to one or more team members. 1. Click on Delete icon of the role you want to remove. 2. On click, delete pop up will open asking for confirmation. 3. To delete click on Delete button.